A trustworthy way for providers to share - and buyers to see - their commitment to driving student outcomes. 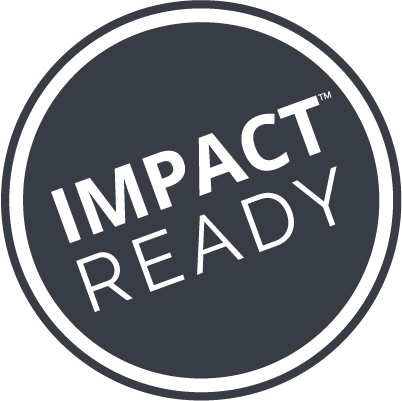 IMPACT-Ready™ enables all product providers to clearly indicate their commitment to providing education organizations with security, accessibility and utilization information in a single location so any education organization can easily access information required for their purchasing. Streamlined procurement process and shorter selling cycle, as districts can reference IMPACT-Ready status to quickly vet products. Increase product visibility and differentiation. Easily share usage data with schools and districts nationwide. Ability to keep student data secure and private. IMPACT-Ready designation is driven by education organizations who wish to significantly streamline how they find, buy and analyze the impact of tools for their student learning and budget goals. Identify and find information on edtech tools more quickly. Lower costs and save significant time in the procurement process. Centrally receive your own data from companies more easily. Education agencies: Learn more can about the benefits of LearnPlatform.